But in February 2015 Americans heard the startling news that the government’s Dietary Guidelines Advisory Committee has voted to end its longstanding recommendation that we avoid foods that are high in cholesterol. Eggs (and shrimp and lobster), it now appears, are healthy foods again! This news was not a complete surprise to anyone who has been following the medical literature in recent years (or indeed, for recent decades). For that matter, this should not be particularly newsworthy for most doctors, especially cardiologists, who ought to understand something about cholesterol metabolism. There has never been any convincing clinical evidence from well-conducted studies that dietary cholesterol greatly increases cardiovascular risk. The dire warnings about eating cholesterol have been based largely on theoretical concerns. Then, in 2013, a major meta-analysis was published in the British Medical Journal that looked at eight clinical studies analyzing dietary cholesterol and outcomes. Among the almost a half-million individuals enrolled, there was no association between egg consumption and the risk of coronary artery disease or stroke. (If anything, the trend was in the other direction; toward a protective association with egg-eating.) This study may not be the final word on the matter, but it’s the best evidence we have to date, and it’s the best we’re likely to have for a long time. It is this meta-analysis, most believe, that finally moved the government’s dietary committee to finally change its recommendations. We have known for years that cardiac risk is specifically associated with LDL cholesterol levels. It may surprise you to know (and, one fears, it may surprise many doctors to know) that dietary cholesterol has no direct effect on LDL cholesterol. When you eat a high-cholesterol meal, the cholesterol that gets absorbed through the gut is packaged in chylomicrons (and not in LDL particles), along with the fatty acids from your food. The chylomicrons are then released into the bloodstream, and they deliver the fatty acids you have just eaten to the tissues (muscle and fat). The chylomicron remnants - which include all the absorbed dietary cholesterol - are taken to the liver for processing. The cholesterol from your diet, then, is not delivered directly to tissues and is not directly incorporated into LDL particles. Generally, chylomicrons are completely cleared from the bloodstream within an hour or two after a meal. This is one reason you are supposed to be fasting when you have your blood lipid levels measured - nobody is interested in measuring the cholesterol in chylomicrons since chylomicron-cholesterol is not associated with cardiac risk. Dietary cholesterol can, in fact, have an impact on LDL cholesterol levels, but only indirectly. It is the liver’s job to synthesize the “right” amount of cholesterol based on the body’s needs. (The cholesterol handled by the liver is loaded onto lipoproteins and is released into the bloodstream where it eventually becomes LDL cholesterol.) So, if you eat a lot of cholesterol, the liver is supposed to reduce its synthesis of cholesterol - and its production of LDL cholesterol - to compensate. To reiterate, dietary cholesterol is not directly delivered to the tissues and is not directly packaged into LDL particles. The liver - that great regulatory organ - is interposed between dietary cholesterol and LDL cholesterol, and one of its duties is to adjust its production of cholesterol in response to your diet, in order to keep LDL cholesterol levels in some normal range. Therefore, it should not be a great surprise to doctors who follow the medical literature, and who understand cholesterol metabolism, to learn that dietary cholesterol plays no major role in determining cardiovascular risk. Keys A. Serum cholesterol response to dietary cholesterol. Am J Clin Nutr 1984; 40:351. Hegsted DM, Ausman LM, Johnson JA, Dallal GE. Dietary fat and serum lipids: an evaluation of the experimental data. Am J Clin Nutr 1993; 57:875. Rong Y, Chen L, Zhu T, et al. Egg consumption and risk of coronary heart disease and stroke: dose-response meta-analysis of prospective cohort studies. BMJ 2013; 346:e8539. 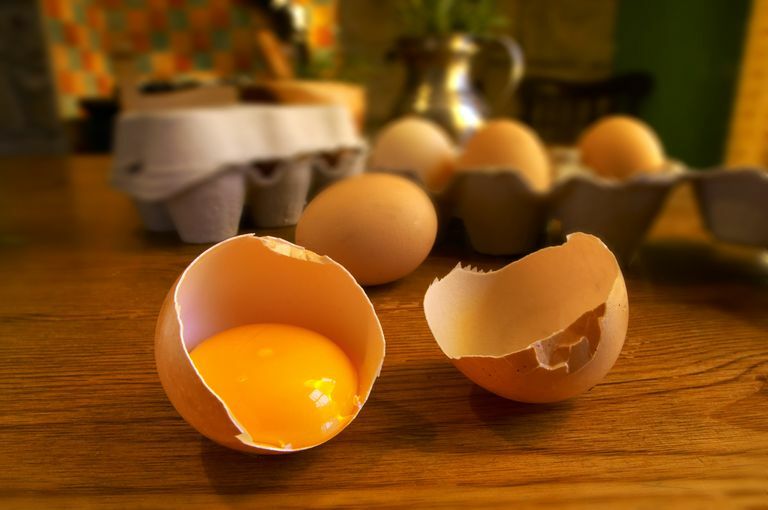 Can You Eat Eggs When Watching Your Cholesterol?